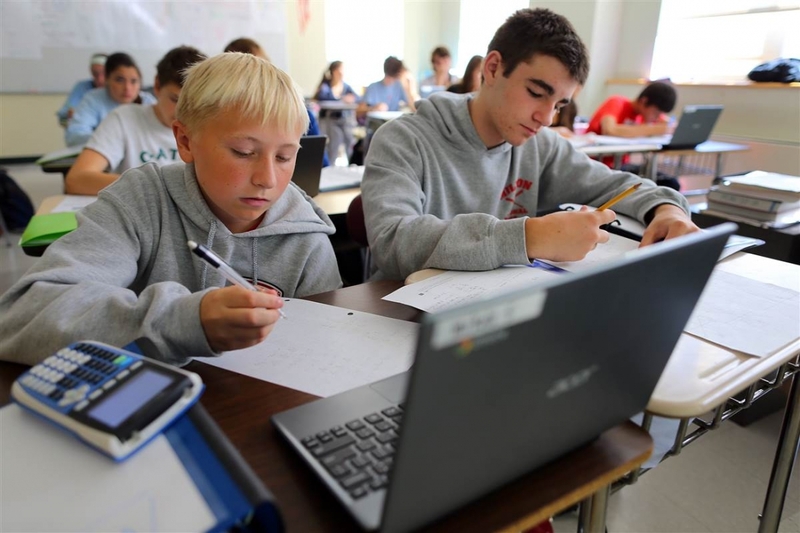 Chromebooks have become immensely popular in US classrooms in recent memory. Market research firm IDC last December reported that Chromebooks had displaced iPads as the teaching tool of choice in schools across the country, a trend that’s shown no signs of deviating. A new report from Futuresource Consulting reveals that Chromebooks now account for more than half of all electronic devices in US classrooms. Of the 8.9 million devices sold to K-12 schools and school districts this year, 4.4 million were Chromebooks. The stat becomes even more impressive considering Chromebooks made up less than one percent of such devices in 2012. Forrester analyst J.P. Gownder told CNBC that while it was clear that Chromebooks had made progress in education, the latest stats are shocking. The analyst added that Chromebooks were able to leap over Apple and Microsoft in just a couple of years with seeming ease. One of the driving factors to the success of Chromebooks in education (and elsewhere) is the fact that they offer an excellent value proposition for education. Gownder correctly points out that they’re easy to manage, secure, can easily switch between users and are critically cost-effective. Google seems just as surprised as Gownder. Rajen Sheth, director of product management for Android and Chrome in business and education, said it’s been amazing for them to see that growth happen in such a short amount of time.